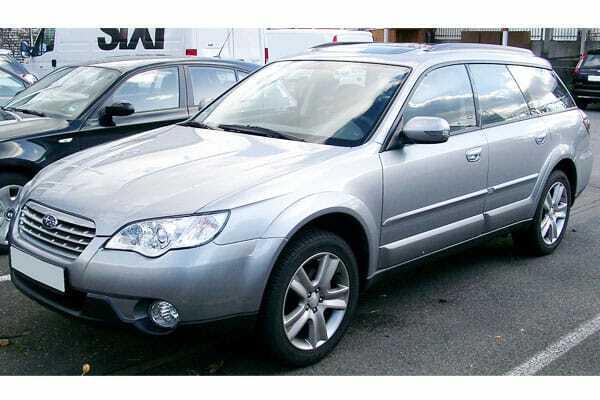 Originally used for two distinct Subaru vehicles, the Subaru Legacy and Subaru Impreza, the Outback was launched as a smart off-roader by Fuji Heavy Industries last 1994. It was only recently, approximately during the years of 2014 and 2015, that the name Outback will be designated to a sole vehicle. No matter how it is called, this vehicle offers a sweet and powerful ride for motorists to experience – make sure to get the chance to get behind the steering wheel of one! Let’s discover more on what makes this vehicle a treat to drive below! A car’s grip will matter when driving, and magnifying this idea’s importance coincides with the different road conditions the most adventurous motorists face. From rain, snow, and the roughest terrain, the Subaru Outback’s Symmetrical All-Wheel Drive System assures one that power is distributed evenly among all four wheels, bringing back the control that all drivers deserve. By optimizing traction and balance, this system stabilizes the entire vehicle for a safe and comfortable ride. Accentuating the Symmetrical All-Wheel Drive System, a 4-wheel independent system offers additional stability for the vehicle. This additional feature helps the Subaru Outback perform at its best, from the rugged challenges of the wild to the exciting escapades offered by the urban landscape. Additionally, the Subaru Outback comes with a Double Wishbone Suspension design for an additional layer of control and stability. A signature among Subaru vehicles, the Boxer® engine provides not only massive power, but intelligent performance to balance and optimize a vehicle’s overall performance. Essentially, this key engineering wonder is the heart of every Subaru model. Working hand-in hand with the Symmetrical All-Wheel Drive System and the Boxer® engine, this integral engineering wonder helps create a fuel-efficient drive. Additionally, the CVT does not lose out in taking out power and performance – with 6 and 8 speed manual modes to choose from, and column-mounted paddle shifters, more control and stability is offered for drivers. The Subaru Outback offers more than meets the eye – additional surprises are in store for lucky motorists. A STARLINK Multimedia system is available on all Subaru Outback models. This means that drivers are assured of connectivity when they need it – everything from Apple CarPlay™, Android™ Auto, and Pandora® integration. The Subaru Outback does not only provide power – it also has the capability to be a party beast as well. With a Harman Kardon premium audio system, motorists and passengers alike are treated to 12 speakers of pure fun and sound excellence experience. You never know if you need to haul additional cargo or load during your adventures. The Subaru Outback, expecting this kind of excitement, comes with 60/40 split-folding rear seatbacks. This essentially allows drivers additional space when they need to carry more for their trips! More than providing optimum seating positions, the Subaru Outback’s powered driver seat comes with memory features. This allows a driver to gain both the comfort and confidence needed during drives – perfect for long excursions and such! The Subaru Outback is also equipped with innovative EyeSight® Driver Assist Technology. This powerful and integral technological wonder helps driver stay steps ahead from danger. From monitoring traffic movement, constantly checking cruising speed and control, and lane changes, this system makes sure that a driver is definitely safe from harm. Additionally, the Subaru Outback’s Pre-Collision Braking System assures motorists that the vehicle will stop when it’s needed. 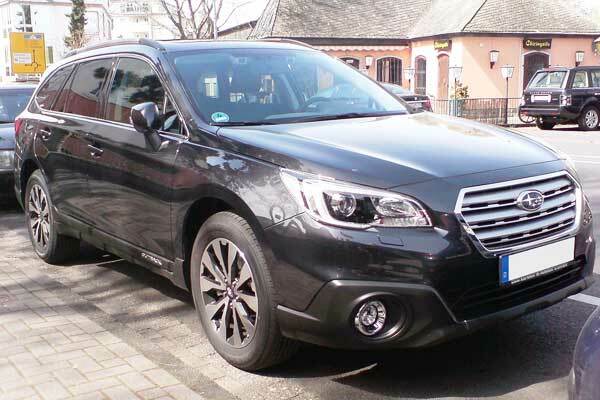 With all of these features, you may probably but not help to wonder why the Subaru Outback is also an eye-candy sort of ride as well. The car definitely is a delight to stare at! First up, and bridging the gap of aesthetics and functionality, are the Subaru Outback’s LED Steering Responsive Headlights and High Beam Assist system. Integrated seamlessly into the car’s body – which, as a result, provides a touch of class and elegance – these light fixtures do not only look good, but offer some much-needed illumination should the Outback face dark road conditions. Next is the much-appreciated window positioning. Offering a great line-of-sight, the Outback’s windshield and corresponding window fixtures provide the visibility needed when dealing with different forces of nature (and man, if one considers the urban jungle!). Also, the Outback’s windshield wipers are designed to automatically detect rain – a small yet essential detail when you need to focus on the road! 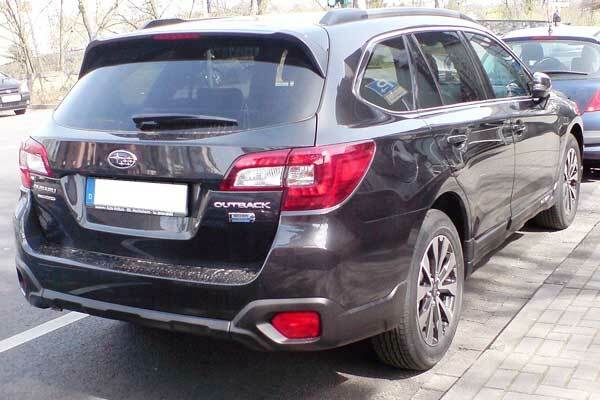 Lastly, the Subaru Outback’s extended roof spoiler design does not only provide an imposing and impressive appearance. Built to amplify aerodynamic capabilities, the Outback can definitely speed it up when it’s needed! Make sure to take the adventure right at your fingertips with the Subaru Outback – it’s the perfect car to bring in and control your innermost and wildest driving fantasies!